Shelby Laupp is currently a senior at Howell High School and a second year member of The Main Four. This year, she holds the position of Social Media Editor-In-Chief. Last year, Shelby made the girls varsity tennis team. She's been playing tennis since she was young and is extremely grateful to be apart of such a wonderful team. Iced coffee, dogs, football, and traveling are a few of her favorite things. Every summer, Shelby travels with her youth group to a different state (Pennsylvania, Montana, and Rhode Island so far) on mission trips. She enjoys these trips because of the new scenery, the new people, and the chance to help others in need. 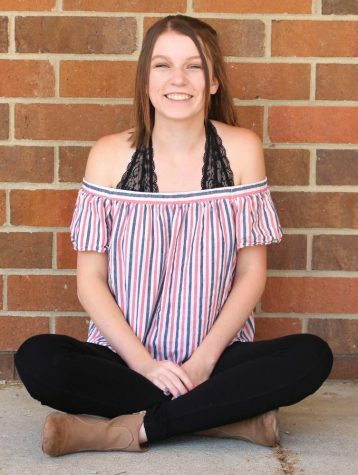 After graduating from high school, Shelby plans to attend either Central Michigan University or Western Michigan University with a major in Public Relations.